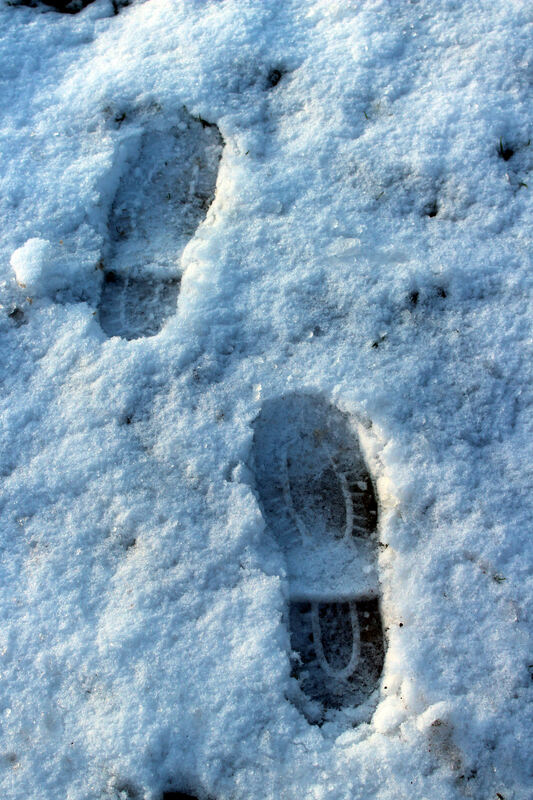 There’s nothing quite as satisfying as being the first person to crunch through freshly fallen snow in winter boots. It’s always been that way. As a small child I would walk the fields and lanes delighting in that feeling. I used to think back then that it was like being the first person to discover a new country or continent. I was an explorer. The first time I ever lived in a town I was 21. We had a very harsh winter that year; the tyres of our vehicle froze to the ground. And when it snowed I walked for miles to find a pristine patch in which to crunch my feet. There was none. Since then we have been fortunate to live in places with lots of opportunities to experience freshly fallen snow, when it does actually snow. And today was one of those days. It snowed overnight and again this morning, and I had acres and acres of the white stuff to trample and crunch my way through. What a treat! Previous Would You Like Cream With That Milk?